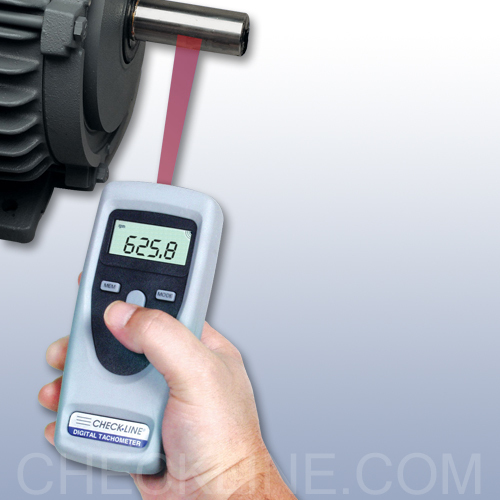 The CHECK-LINE CDT-1000HD Hand-Held Digital Tachometer accurately measures rotational speed (RPM) using a visible beam of light. The CDT-1000HD can be up to 24 inches away from the small piece of reflective tape that is affixed to the rotating element. 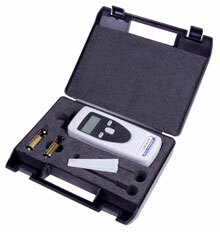 A combination Contact & Non-Contact model, the CDT-2000HD, is also available. Click here for data sheet. 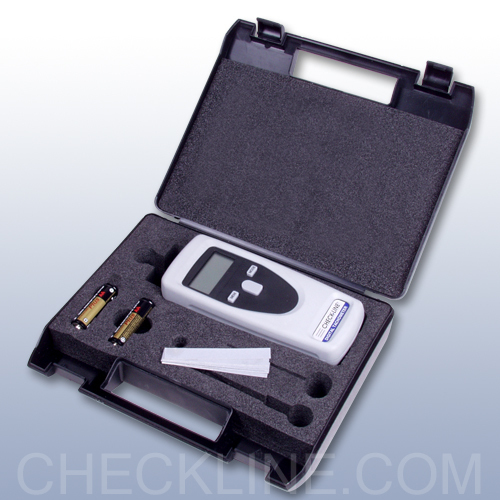 The CDT-1000HD complete kit includes the Tachometer, Reflective Tape, Two (2) AA Batteries (1.5 V), Operating Instruction Manual and Traceable certificate -- all supplied in a foam-fitted, hard-plastic Carrying Case.